Plastic Kitchen Wiper is used in the kitchen and is easy to handle because of its specific design. 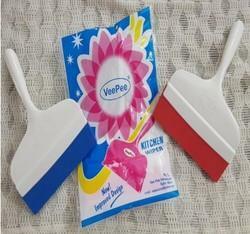 - This product will solve all your kitchen slab and window cleaning hassles. - For the first time, spray bottle built inside the wiper. - Get completely dry surface after a single wipe. - Cleaning liquid can be filled easily in the detachable spray bottle. - Just spray the liquid and wipe it off, and the windows and slabs would shine like never before. Kitchen Wiper is made of pure stainless steel body with micro cellular rubber to ensure best result. 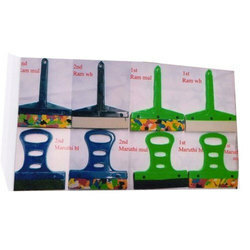 With our wide range of products, we are providing a wide spectrum of Plastic Kitchen Wiper to the clients. To ensure its quality, our quality experts test it on different parameters before the final dispatch. Additionally, it is suitable for cleaning and drying floors of residential and commercial places.